Browse through images related to the NAM. Find updates from recent meetings and activities involving the NAM. 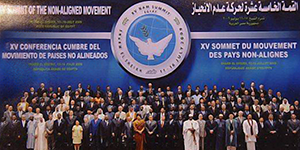 A compilation of all the Final Documents from NAM Summits; including the original final document, a summary of disarmament, nonproliferation and peaceful uses issues of each summit, and issue summaries for key topics addressed at all Summits. 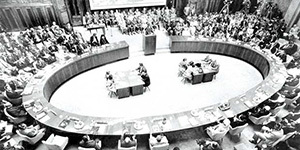 A compilation of NAM's statements, working papers and interventions at Preparatory Committee meetings, and Review Conferences of the NPT. Summaries by meeting and by topic are provided. 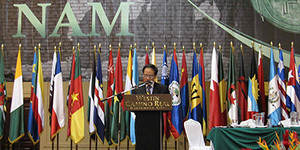 A compilation of NAM's statements made at the General Conferences and the Board of Governors meetings. Yearly summaries and summaries by topic are provided. 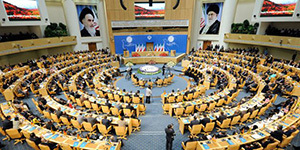 A compilation of NAM's statements made at First Committee Meetings of the General Assembly related to disarmament and international security. Copyright © 2012 James Martin Center for Nonproliferation Studies (CNS). All rights reserved.